I am starting this thread for fans of Colonial Gothic and 18th-century Cthulhiana. Colonial Gothic covers the Thirteen Colonies during the Revolutionary War period, and already features some subtle references to Lovecraft. More will follow. Please add your comments, reviews, ideas, and wishes here, and we'll be happy to hear from you! Welcome Graeme. Nice to see another familiar face here on the fora. 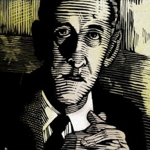 SixtyStone Press is due to start releasing the Colonial Lovecraft Country series of books hopefully beginning later this year. Set in 1750 (default), the first book has chapters on Arkham, Boston, Dunwich, Kingsport, Providence, and Salem, written up like Chaosium's Classic Era Lovecraft Country books, albeit much shorter. There are sections on history, new wrinkles on character creation, many many many ideas for scenarios and campaigns, a healthy bit of info on the other colonies and various Lovecraftian things going on there, articles on Colonial Freemasonry and alchemy, witchcraft, a discussion of Mythos creatures and books to be found in the period, and a couple of introductory adventures. It's a nice fat book, at about 130K words, and I'm tremendously proud of it. My co-writers were Scott Aniolowski, Fred Behrendt, and Todd Woods. Also in line is a scenario collection tentatively titled The Devil's Wedding and Other Tales. Another nice fat book which should have about 7-8 adventures set in Salem, Arkham, Ross' Corners, Dogtown, Boston, and other sites. Authors include Yers Truly, Scott Aniolowski, Fred Behrendt, and Dan Harms. Probably. Third comes The Curwen Conspiracies, a campaign set in 1771, devised by Gary Sumpter and written by folks such as Brian Courtemanche, Dave Hallett, Glyn White, and meself. The title should give you a good idea of who and perhaps what might be involved. This is really going to be a killer series, once it gets rolling. I think I'm more proud of it than anything else I've worked on over the years. I hope it's worth the wait. Great to see you here. I've enjoyed Colonial Gothic for a while now. It's a fun game. I'd hope the "Colonial Gothic" date range could extend back to the late 1600s, when some really interesting things were going on in both real and Mythos timelines (e.g. 1692, the Salem Witchcraft Trials -- per HPL, refugees from Salem settled in Arkham). There was conflict involving the nearby Indian tribes: King Philip's War (1675-1676), even before the intercolonial "French and Indian Wars" used Indians as auxiliaries. Religious dissenters like the Baptists and Quakers were being ill-treated (e.g. with red-hot pokers) by the same Congregationalists who'd settled here seeking their own religious freedom. Perhaps some other religious groups [read: Cthulhuian cults] just kept a lower profile. By 1776 these could be regarded as the "bad old days"; but they'd be good grist for scenario settings. Disclosure: my own "Crowther's Tale" is set then, but as it's fiction rather than a scenario, I don't think my self-interest is involved. We actually do have some plans in that direction. King Philip's War is definitely on the radar, and we have a supplement in editing on the French & Indian War, which is currently scheduled for a 2011 release. Thanks for the lead to the Judges' Cave - I will definitely check that out. I had heard of ECW-related skirmishes in Maryland, but this is new to me. For now, our "Witchcraft" $1 PDF could be used to create a Salem kind of scenario. It includes a long extract from King James VI/I's "Daemonologie," the book that is said to have inspired Shakespeare to write "Macbeth." I have plans to revisit witchcraft and Salem, but they are not official yet. For now, I am working to establish a solid base of products with releases like the Gazetteer and the campaign series in the 1775-1783 timeline before opening up other periods - but if things pan out like Richard and I hope they will, those earlier periods will definitely be covered. One caution, though: "the French & Indian War" (singular) refers only to the fourth and last of the four "French and Indian Wars" (plural) I mentioned. The tiny difference of the final "-s" distinguishes between one war 1754-1763, and four wars over the span 1689-1763. Gazetteer: A 108-page book detailing each of the Thirteen Colonies, including history, society, locations, and mysteries, plus an 8-page adventure set during the Siege of Boston. Templates: A 42-page e-book presenting 32 character templates for quick NPC creation and easier character generation. The Ross-Allen Letters: A 42-page e-book containing a disturbing correspondence, with notes on collaborative storytelling in the style of "De Profundis." Flames of Freedom: Boston Besieged: The first instalment in a four-part campaign, including detailed source material on Boston in 1775. Also, the Rogue Council forum has opened at http://talk.rogue-games-forums.net/index.php. For more information, go to http://www.rogue-games.net/Games/Colonial-Gothic/page12.html. Quite so. The planned sourcebook covers the last of the wars. Quite so. The proposed sourcebook will cover the last of the wars. Arkham, Kingsport, Innsmouth, Aylesbury, and Dunwich are all on the Massachusetts map in the Colonial Gothic Gazetteer btw. Very cool. On a pedantic note- Aylesbury was not founded until 1802. Just wanted to note a story I recently stumbled across. "Observable Things", by Paul di Filippo, has Cotton Mather teaming up with Solomon Kane to fight a Native American rebellion which has in extremis formed an alliance with the Deep Ones. Very enjoyable. "Observable Things", by Paul di Filippo, has Cotton Mather teaming up with Solomon Kane to fight a Native American rebellion which has in extremis formed an alliance with the Deep Ones. Very enjoyable. This sounds like something I need to read... I could only wish for Justice for the true "Devil of Salem" Cotton Mather, may he be overcome with spectral evidence. Covers three periods: the Golden Age, the French and Indian War, and British Quebec. Sourcebook and adventure covering Philadelphia and the Continental Congress. The last conflict of that name, 1754-1763. The setting for "The Last of the Mohicans" among others. Sourcebook on Templar fact, Templar legends, and the role of the Templars in the Colonial Gothic setting. Usable with CoC and other games. Sourcebook on the unsuccessful first Massachusetts colony. Rules for mass battles from the French and Indian War to the Revolutionary War.